This museum tells the story of a passion passed down from father to son. A typewriter repairman since 1937, Charles Perrier was so fascinated by these ingenious devices that he began to collect them so that he could lovingly restore them, making any pieces that might be missing. Upon his death, his son Jacques took over with just as much enthusiasm and learning. This is an entirely private museum located down a cul-de-sac in the centre of Lausanne. “This is a heritage in danger of disappearing, because these machines are all too common,” remarks Jacques Perrier. A visit here is worth the effort. You learn so much about this tool, which revolutionized writing but which many in the younger generations have never even heard of! The first patent was granted in 1868, but it was only in 1873 that a standard Remington left the factory. The year 1899 brought the prototype for the first machine with a writing ball, and in 1911 Olivetti offered the first portable machine. Among its 800 items, the little Perrier museum presents the entire history of the Swiss manufacturer Hermès – which became the third largest exporter in the world in 1937 – from the Hermès 2 from 1923 and the famous Baby from 1925 to the latest models. 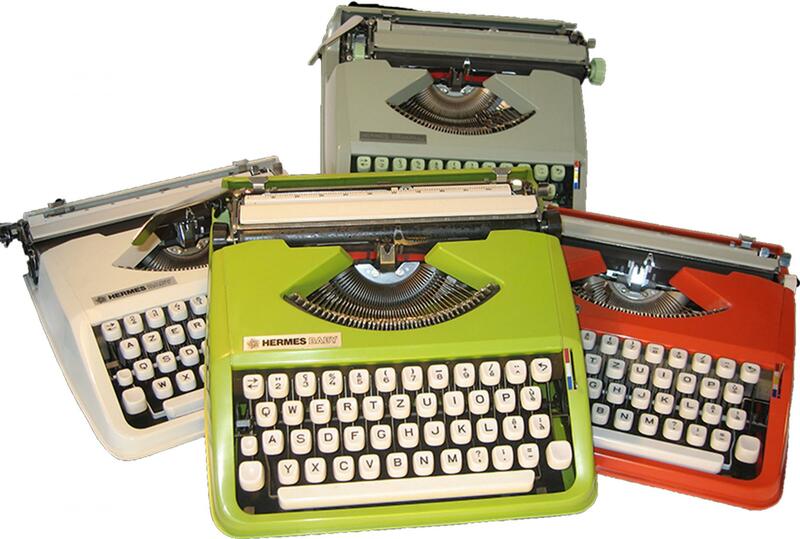 Among its curiosities, we also find a German Erika from 1947 with Hebrew characters, an Olivetti that can write in Arabic, a Smith Corona with a Korean keyboard, as well as Chinese and Japanese machines. In addition, there are numerous antediluvian calculators and many desk accessories.